Our cabins are located just 6 miles from the "Parkway" in Pigeon Forge, very convenient to Gatlinburg, Dollywood, The Great Smoky Mountains, and all the area attractions. ...nestled in the valley of English Mountains, one of the loveliest places in East Tennessee. 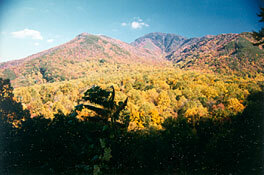 Immerse yourself in the true experience of the Great Smoky Mountains. Luxuriate in your own private hot tub, relax by a crackling fire, or enjoy a game of pool. At Hearthside you will find a variety of amazing cabins, specially selected to help you create your own "Smoky Mountain Memories". Accommodations by Gatlinburg Village manages many different types of accommodations, whether you are looking for cabins, chalets, condos, cottages, townhouse, to motel accommodations or anything in between. Misty Haven is a place for rest and renewal for our family, and we want to share that experience with you.